8bit terror on the Commodore 64: Terrorpods – A reconsideration – Obi-Wandi, a retrogaming retrographer. 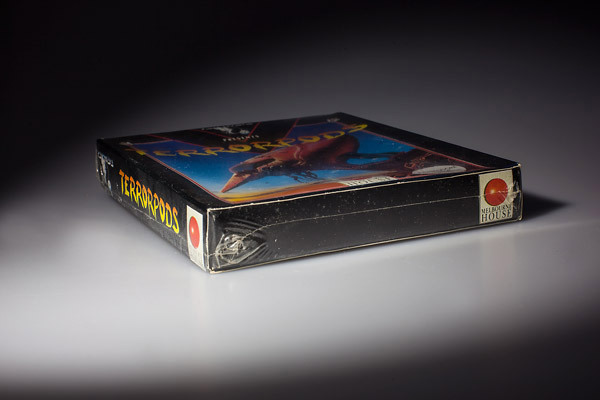 As with all 16bit releases by Psygnosis, the original Atari ST and Amgia versions of Terrorpods came in a beautiful box that proudly detailed the complexity of what could have been a simple shoot ’em up. Photo courtesy of MobyGames. Terrorpods was one of my first Amiga games and therefore is dear to my heart. I always saw it as a quintessential 16bit game that not only looked the part but effortlessly coalesced different genres into a hectic yet exciting experience; for me, Terrorpods inaugurated in 1987 an age of increasingly complex gaming necessetating real-time decisions enveloped in heart-pounding action. Imagine my surprise a year or so later when I read a review of Terrorpods’s Commodore 64 version in the German gaming mag Power Play. How could this have been possible? Not too unexpectedly, the port recieved a measly rating for not having much in common with the original version. I therefore saw no point in fetching a copy back in 1988. As the new millennium unfolded, I spent a considerable amount of time investigating vintage computer games on the web. Inevitably, I stumbled upon the C64 adaption of Terrorpods and instantly troubled an emulator with Melbourne House’s conversion. I distinctly remember how the game struck me as quite a success given 8bit limitations; enthused, I drew up an ecstactic comment on Kim Lemon’s fantastic Lemon 64 site – and created a space-time anomaly in the process. My romanticised view of Terrorpods on the C64 must be the sole instance of praise the conversion recieved in the entire universe. The port was summarily dismissed as a vacuous waste of time and money; its trashing at the hands of Zzap64 mirroring Power Play’s negative review. The 8bit versions of Psygnosis’s Terrorpods shipped in lovely boxes that were as impressive as those of the 16 bit originals. Everything about this box suggested not only a quality product but a game to rival the 16 bit versions. To drive home this particular point, Psygnosis had the back of the box changed, effectively addressing directly the magnificent technological feat that had supposedly been achieved. More than ten years later, thanks to Sam Dyer, I was able to get to the bottom of this rift in time, space and game reviews. For the first time ever, I held Terrorpods for the Commodore 64 in my hands: Of equal size as the original 16bit version’s box, albeit featuring slightly diffent designs, the 8bit Terrorpods box suggests 16bit glory. Proud owners like myself naturally sense that the 8bot Terrorpods conversion carries with it the (ultimately imagined) weight of importance. If you didn’t own either an Amiga or an ST at the time, purchasing the conversion of Terrorpods – a game that was a ubiquitous pack-in game in special Amiga/ST offers – may initially have felt like upgrading your trusty 8bitter. 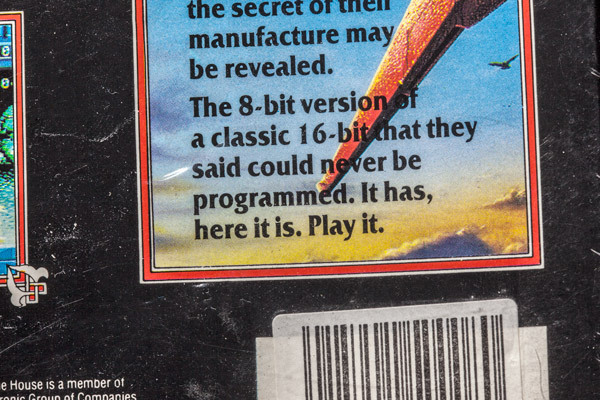 Detail of the Terrorpods C64 box: If the developer itself is convinced that its product is an incredible achievement, it must be true: promotional back-padding in the age of 8bit conversions of 16bit computer games was mastered by Melbourne House, which distributed all of Psygnosis’s early 16bit games for 8bit platforms. The well-written, exciting gameplay description on the original Terrorpods box sent shivers down the spines of Amiga and ST owners: “After two hours it has become very apparent that your training in fast action combat just isn’t enough, you will have to muster all your mental reserves and strategic powers to maintain adequate trading and resource levels.” What a stunner. Considering that games should ideally encourage potential buyers along the lines of labelling them heroes that are a civilization’s last hope, Terrorpods’s approach remarkably anticipated the future computer game player. As per the Terrorpods box, the 16bit age will soon bring 80ies players, who were merely used to fast-paced action (“your training…isn’t enough”), back down to earth with a great thud. 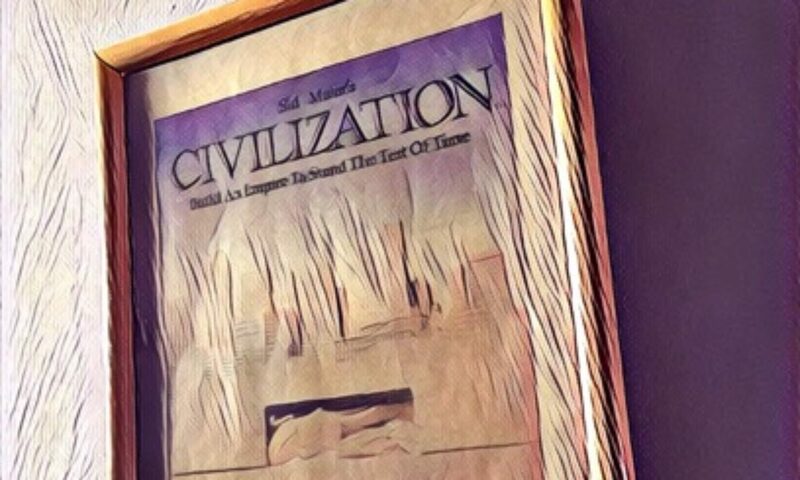 Intriguingly, the original packaging foresees how games will become less casual and more time-consuming (“After two hours…”) and appears to question the buyer’s “mental reserves” and “strategic powers”, teasing her or him so as to entice them to prove their worth in the face of this newly-fangled 16bit sensation. Personally, I could not agree more with Psygnosis’s original description of Terrorpods’s gameplay, which essentially sold the idea of 16bit power to the market. Detail of the Terrorpods C64 box revealing a remarkable degree of honest salesmanship through actual in-game screenshots of the C64 version. If screenshots were missing from marketing materials – a common occurrence when it came to conversions – buyers better waited for the reviews to arrive to avoid serious disappointments. Psygnosis certainly was aware of the tricks of the trade and, in the case of Terrorpods, turned proof of questionable quality into a game developer’s greatest achievement. There is one major deviation from the 16bit boxes and it is not the screenshots. On first inspection of the mighty Terrorpods box, the C64 screenshots do pop out in a slightly disappointing fashion if you are used to the 16bit visuals. This is acceptable considering the difference in specs, commendable even, given the task at hand, and the game does look reasonably close to the original Terrorpods. With conversions, it was really comforting to be shown screenshots of the actual game rather than mock-up images or just pictures of the original version. More often than not, if screenshots were entirely absent from marketing materials (as in the case of Ocean’s Knight Rider, Activision’s Big Trouble in Little China or US Gold’s Break Thru), a game would most commonly turn out to be a disaster. 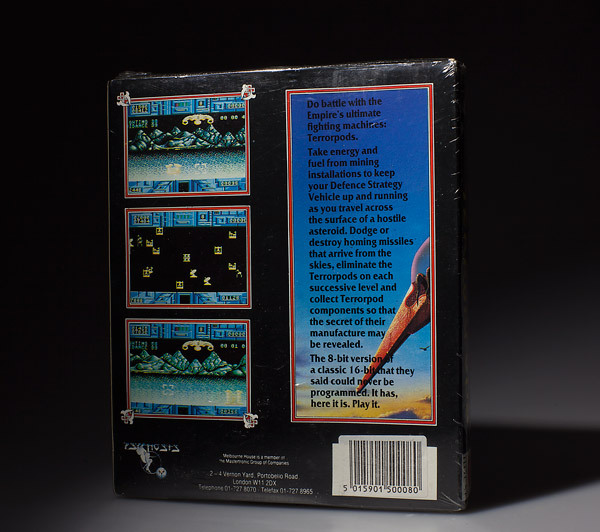 Psygnosis had re-written the blurb on the Terrorpods box for its 8bit versions. On the surface, the text bravely suggests that the original gameplay has remained intact. As my eyes continue tracing the back of the packaging, they are drawn to the mission briefing, which is printed in bold, black letters over the blueish sky of Colian, the asteroid where the game is set. When I first played the game myself around 2000, I hadn’t had access to the packaging, so I was unaware of the altered blurb. There was no need anyway. The parallax scrolling, the tactical map and the persistent missile attacks won me over instantly. Now the Terrorpods blurb is to instill excitement and, well, terror, which is arguably the case in the new version as well, hence the text is somehow in support of my rogue turn-of-the-century appraisal. Yet the blurb’s startlingly curt and strikingly simple nature pushes to the fore-ground the very action-centric elements that the original 16bit versions contained but were not fundamentally predicated upon. The new blurb rearranges key pieces of information to retain an air of epic scale. First and foremost, the “Empire” can only be beaten by the player, who needs to prove her- or himself superior to the “ultimate fighting machines”. Before the reader is told what the “battle” actually entails, the tried-and-tested power-up is re-envisioned as a race for valuable resources, which translates to “watch your power bar”. 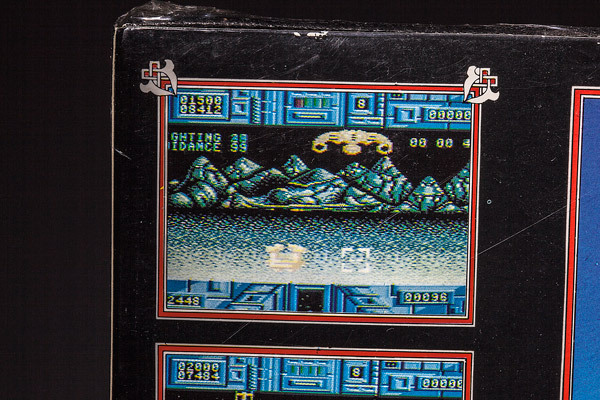 Only then does the box unveil the nature of this epic “battle”: “Dodge or destroy homing missiles […], eliminate the Terrorpods on each successive level“. What the new blurb harkens back to is the established gamer-turned-saviour-of-worlds rhetoric, discarding all suggestions of the dawn of a new age in gaming. Most crucially, there is no indication of why this text could not also be found on an Atari VCS box. As printed on the C64 Terrorpods box, the description is strangely reminiscent of Parker Brothers’ Star Wars – The Empire Strikes Back video game cartridge: watch your power bar, destroy towering machines. Finally, the blurb no longer speaks of hours of game play but “successive levels”, a key piece of evidence that the 8bit versions, while presumably action-packed, no longer draw players into an alien world where an epic war rages. It boils Terrorpods’ principal design down to a set number of stages, after the which “the secret of the [Terrorpods’] manufacture” will be revealed, possibly amounting to a game over screen depicting the player’s final score. The tinted spectacles of nostalgia may have had something to do with my optimistic appraisal of Terrorpods on the C64 so many years ago. Psygnosis had successfully sprung a trap by appealing to my visual memory of the game first and foremost. In hindsight, Terrorpods on the 8bits is a bare bones re-intrepretation of the 16bit classic, reminiscent of a proof of concept but not representative of a finished game. In the RetroAsylum Psygnosis Special, I referred to the original Terrorpods as a “militarised version of Dani Bunten’s M.U.L.E.” Instead of overlooking the gameplay area from a bird’s eye view, you were brutally placed in the midst of combat and trading, observing everything from a first-person perspective. This point of view was necessary if the player should directly become involved in the action. The mistake made by Psygnosis then, was that they didn’t retro-engineer the principal idea into an actual 8bit game. In a way, that is precisely what they did, unfortunately they had retained the lesser portion of the game! The Terrorpods box for the 8bit versions is a fine example of quite a questionable marketing ploy. It both reveals its overwhelming flaws at the same time that it is praising the completion of an impossible task. True to Psygnosis’ role in the market, they wanted to stun players with relentless action to render them oblivious to the conversion’s many short-comings. Ideally, 8bit Terrorpods should have conceded defeat and should have been re-surrected as a new strategy game built around its science fiction premise. Rainbird’s Carrier Command immediately comes to mind as another title designed specifically for 16bit platforms. Its fast and silky-smooth solid vector graphics aside, Carrier Command employs a complex AI which operates islands, their factories and the vehicles built from the resources processed in said facilities. As an essential 16bit release tailored to the Atari ST’s and the Amiga’s specs, it’s not a coincidence that Carrier Command shares features with Terrorpods. Yet in the case of Rainbird’s real-time flight-/naval simulator strategy game, the 8bit conversions were separately designed for the platforms available at the time. The C64 version wisely resorted to the machine’s strengths and unfolded from a bird’s eye view of sprite-based islands, factories and drones. 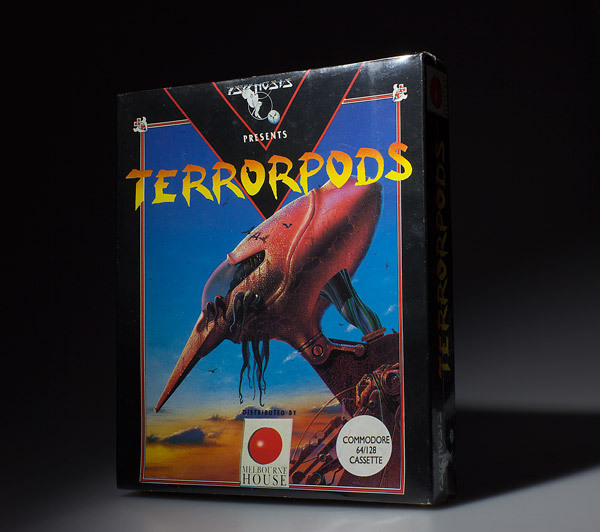 With Psygnosis, the focus was clearly on creating a variant of Terrorpods that, at first glance, looked as similar to the 16bit versions as possible. Nevertheless, holding the sizable box in my hands, I cannot help being impressed by the Terrorpods’s convincing presentation. Terrorpods on the C64 is a reminder of how gaming outgrew certain platforms in search of more complexity and variety. On the other hand, the conversion also attests to Psygnosis’s canny marketing strategy of triggering a need to purchase a game based on high quality packaging. I sorely miss these lovely oversized boxes from ages past, however treacherous they may have been, and think of the 8bit Terrorpods conversion that should have been inside. 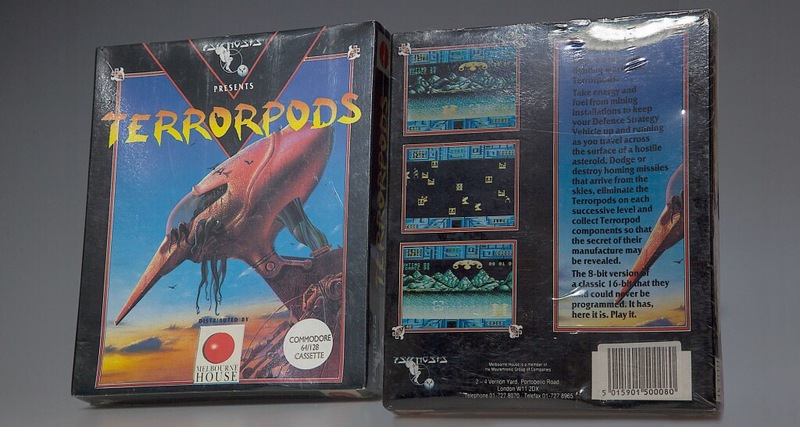 Thanks again to Sam Dyer for making possible the timely acquisition of a perhaps trivial, but nonetheless exciting building block of retrogaming history, the C64 cassette version Terrorpods by Psygnosis. Don’t forget to listen to Retro Asylum’s The History of Psygnosis! Watch Lazy Game Reviews reflect on Psygnosis’ Terrorpods, including the C64 version, and see first-hand what this classic is all about!